The Houston Rockets have been among the best teams in the Western Conference since acquiring All-Star Chris Paul in the summer of 2017, but the Los Angeles Clippers' return haul hasn't been too shabby, either. 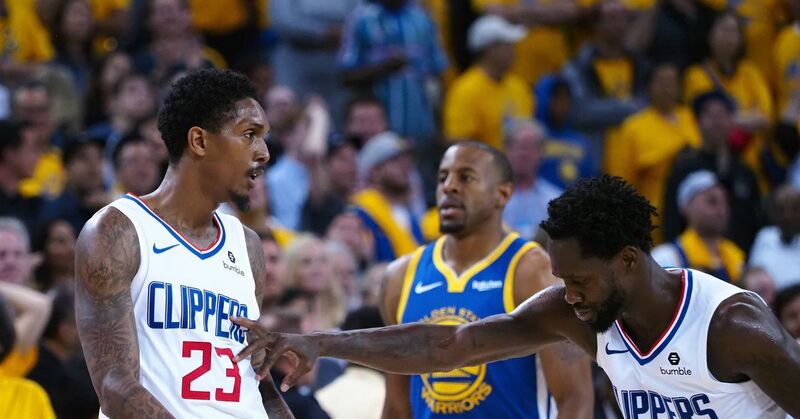 "The Rockets paid a healthy price for Chris Paul," Clippers guard Lou Williams—who was one of the seven players sent to L.A. in the deal—recently told ESPN.com's Zach Lowe. Williams won the Sixth Man of the Year award for the second time in his career last year and is once again a candidate while averaging 20.3 points and 5.3 assists in 71 games this season. Meanwhile, Montrezl Harrell has taken the next step since arriving in Tinseltown. He is averaging a career-high 16.7 points and 6.6 rebounds in 78 appearances in 2018-19. That performance has put him in the running for the Sixth Man of the Year award as well. Williams and Harrell have combined for the highest-scoring bench duo (53 PPG) in the last 20 years, per ESPN Stats and Info (h/t Lowe). "They just match each other's speed," Clippers coach Rivers said, per Lowe. "They feel each other." Defensive menace Patrick Beverley was also included in the trade. He has a net rating of 4.0 this season. The Paul deal was the start of a the Lob City teardown in L.A. They would go on to trade star Blake Griffin last season despite signing him to a max during the previous offseason, and DeAndre Jordan left in free agency last summer. While the Clippers missed out on the playoffs for the first time in seven seasons last year by going 42-40, they have bounced back from a transition year in impressive fashion. They sit in sixth place in the Western Conference at 47-31 and are just a half-game back of the Utah Jazz for fifth. Losing a franchise cornerstone has the potential to wreck a team. However, the Clippers were able to hit a make it a win-win trade. "We just got a good culture here, man," Williams told Lowe. Having to deal away the likes of Williams, Harrell and Beverley may not have been easy, but Rockets general manager Daryl Morey probably doesn't have any regrets from the trade. In the first year following the trade, Houston made its deepest postseason run in more than two decades as it came within one game of the 2018 NBA Finals. If Paul doesn't miss the final two games of the Western Conference finals after getting hurt at the end of Game 5, perhaps the Rockets' season ends differently. Houston is once again among the top teams in basketball this season, holding the third seed in the West at 50-28. If the season ended Wednesday, the Rockets and Clippers would have a chance to settle things on the court in the first round of the playoffs.